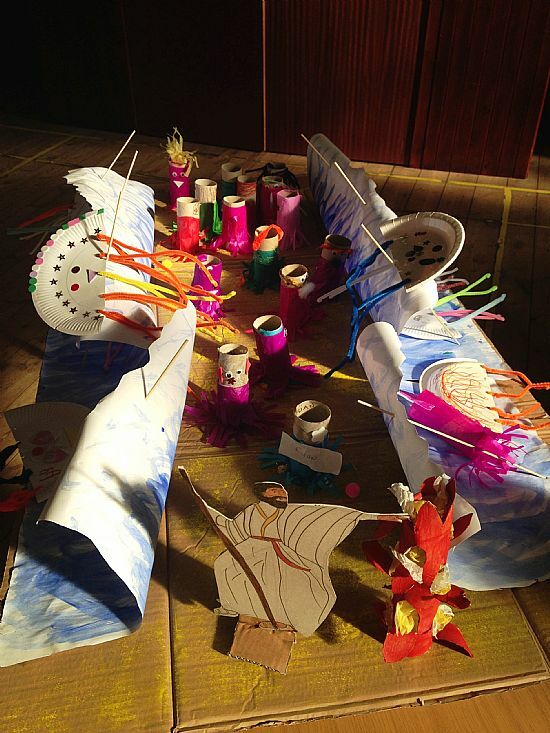 Golspie Primary School Christmas Service was held in the Church on Tuesday 22 December at 1.30pm. All welcome. The Watchnight Service was held by candlelight on Christmas Eve at 11.30pm. Christmas Morning Service will take place at 11.00am. Christmas Day in the Church. Bring one of your toys or Christmas gifts to show to the congregation! All welcome. 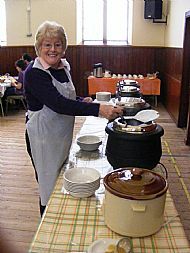 A soup and cakes lunch held in Fountain Road Church Hall on 12 December was once again well attended. As well as the usual assortment of soups on offer there were more than plenty home baked cakes to follow. Delicious tablet was also on sale. The 4 donated hampers also raised the interest of those attending and the total sum of £565 has been raised for our friends in India Village Ministries. Our thanks to all who donated food and to those who helped serve on the day. A local Christmas card delivery service ran during the month of December. Post boxes for cards were placed in various shops throughout the village as well as in the Church. The total sum of £392.11 was raised. Our annual 9 Lessons & Carols Service was held in Fountain Road Church Hall on 6 December. This year we were joined by members of the Golspie Primary School Choir who sang a couple of Carols on their own as well as swelling the voices of the adults in the Carol singing. Alice Marriott and Jamie Mackay also read a couple of the Readings for us in loud clear voices. Parents and Grandparents helped swell the numbers in the hall and many stayed afterwards to enjoy fellowship over the usual teas with Christmas cake, mince pies and other home bakes. The retiring collection of £207.88 this year went towards the rebuild of Highland Hospice. Thanks to all who made this a very enjoyable evening. If you have not got a Christmas gift yet for that hard-to-buy-for person, consider getting something on their behalf for a child in India! Please see the voucher sheets on the bookboard for more information. 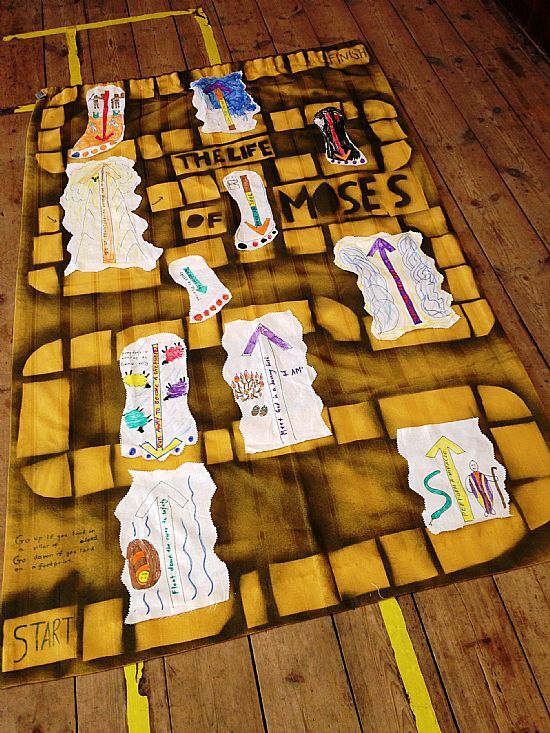 On Sunday 4 October and Sunday 1 November the Sunday Club were studying the life of Moses and have looked at Moses in the Bulrushes, the Exodus and the parting of the Red Sea and the 10 commandments. The Club have managed to maintain the numbers with an average of 18 children over the last 18 months and terrific volunteer support from both the Church congregations in the village and parents/grandparents of the children who come. The choir resumed on Tuesday 27 October at 8pm in Fountain Road Church Hall . 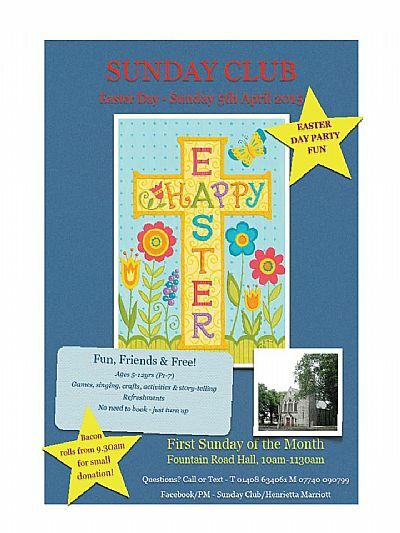 New members welcome to come along and join us. Wednesday Communion, was held on 28 October at 3.00pm in Fountain Road Church Hall. Blythswood distributes filled Shoe Boxes to many needy people in Eastern Europe and Pakistan at Christmas-time as an expression of God’s love towards them. There was a collection of filled boxes from the Church on 1 November. as usual the congregations responded generously to the appeal. Disabled Access: The disabled access to the churchyard project is well underway! Drawings of the prospective ramp can be seen on the bookboard. If you would like to make a contribution to the disabled access project, or you know someone who would, please take one of the leaflets on the bookboard, or see Patrick Argyle, Hugh Johnston, Jan Smeink, Isobel Murray, or the minister. Our Harvest Thanksgiving Service was held on Sunday 27 September at 11am in Fountain Road Church Hall. Harvest Foodbank Appeal - This year's requested items from our church was for Tinned Ham, Tinned Mince or Stew, Pasta Sauces, Bars of Soap, Laundry Detergent, to which the congregation responded very generously. Walk for Rwanda - 19 September a sponsored walk was held in Helmsdale on Saturday 19 September 2015 at 12.30pm. Sponsor sheets were available. The annual Church Fete took place on 28 August and once again was well supported by the congregation and local community. Mary's fresh pancakes proved popular with the teas and there were the usual stalls of baking, produce, books, bric a brac etc. The total raised to date is £1750. Many thanks to all who supported this event. Bible Study: Hosea – God’s love song – The penultimate Study in our series on Hosea was held in the manse on Wednesday 9 September at 7.00pm. Bible Study is open to all so please come along whether or not you have been before, all are welcome. 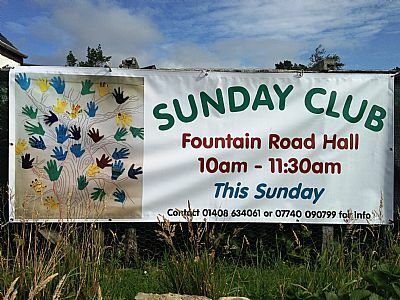 As you may recall 'Sunday Club' was set up last year and continues to thrive on the first Sunday of every month in the Fountain Road Church Hall 10.00 - 11.30 am. It has proved to be something of a success story, starting with about twelve children, it now regularly attracts over twenty and numbers continue to rise. 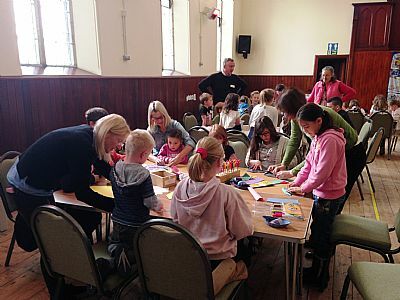 Sunday 6 September saw a record attendance of twenty-seven from primary schools and, importantly, three from Golspie High School. 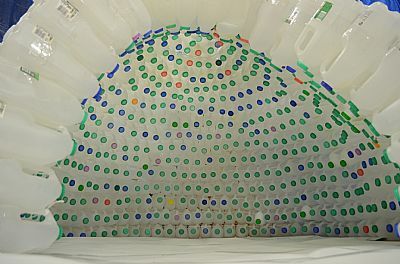 At the request of Andrew Tryon, the congregation of St Andrew’s Church have been collecting empty milk bottles to enable Andrew to make an igloo for the Clyne Parish Church Summer Club, which is run by the Scripture Union and is held in August. An amazing 680 bottles, totalling two and a half thousand pints, or over a ton of milk were collected. Approximately 550 of the bottles came from the congregation of St. Andrew's, which is a fantastic effort. Thank you to everyone for collecting them. The igloo was erected in Brora Primary School and measures 7 ft in diameter and is 5ft high to enable the children to crawl inside it. After our summer break the next Bible Study in this series will be held in the Manse on Wednesday 19 August at 7.00pm. Preparation notes for this study are available on the Book Board in church, please take a copy. Bible Study is open to all so please come along whether or not you have been before, all are welcome. Suresh, the leader of India Village Ministries, gave a presentation about his ministry in the Small Hall in Fountain Road on Wednesday 29 July at 2.00p.m. Teas and home baking were served with a chance to chat with Suresh. Biblical Garden Car Boot Table during Gala Week needs help with donations to stock the table. Donated items can be given to Juna Sutherland or Janet Harvey and, it is hoped, will be sold to help raise funds for proposed improvements in the garden. 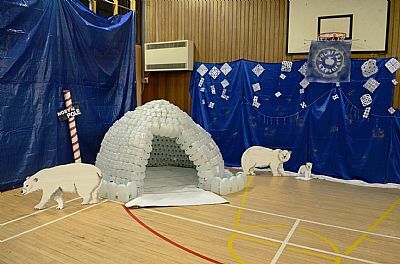 Andrew Tryon would be grateful if the congregation could collect plastic milk bottles which will be used to help the Clyne Parish Church summer Club in Brora where they are planning to build an igloo out of milk bottles. 2, 4 and 6 pint bottles are required. Please bring them along to church to give to Andrew no later than Sunday 26 July. 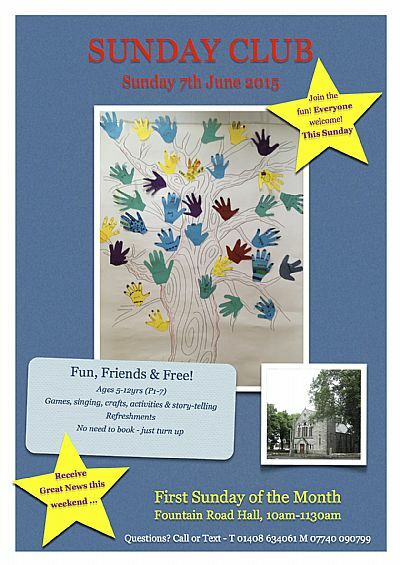 7 June Sunday Club will take place on Sunday 7 June 10.00-11.30am in Fountain Road Church Hall, children ages 5-12 (under fives must be accompanied by an adult). Odd socks are need as the children will be making sock puppets. If you have any odd socks you could donate, please give them to Henrietta before the 7 June. The next Bible Study in this series will be held in Fountain Road Church Hall on Wednesday 20 May 2015 at 7.00pm. Bible Study is open to all so please come along whether or not you have been before, all are welcome. A few spare copies of the Hosea Study Guide are available. This year’s Gift Day was held on Saturday 2 May from 10:00am - 12:30pm in Fountain Road Church Hall and raised the magnificent sum of £2415.90. Two informal, informational evenings for anyone thinking about becoming a member of St Andrew’s church were held in the Manse on Friday 24 April and Friday 1 May. The new members evenings were to explain what membership means and how to find out how you can become more involved in the church. 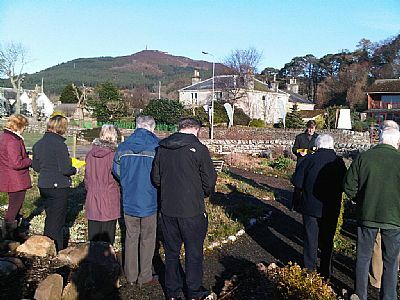 An open-air Easter Sunday service was held in the Biblical Garden at 8.30 on a glorious sunny morning and every one including passers by were able to join in the hymns, ‘The Saviour died, but rose again’ and ‘When the trumpet of the Lord shall sound, and time shall be no more’. The Tuesday Night Prayer Fellowship held a Soup & Sweet lunch in Fountain Road Church Hall on Saturday 28 March, to raise money for India Village Ministries (IVM) and including donations raised the sum of £425. The photo below shows the first people to arrive for their lunch. Thank you to everyone who came along to help raise this amount. Our church has a strong link with IVM and at our recent Review by Presbytery, we were encouraged to continue. Suresh will be staying over with the Minister for a couple of nights in mid-July and we hope to get a fresh update on all of the work he and Roja are carrying out in that Ministry. India Village Ministries provides for the spiritual, physical, emotional and educational needs of orphan children. They also provide the basic necessities for widows, old people and physically challenged peoples in rural villages. In rural India, family is the only protection against severe poverty in old age. Without a husband or provider poor widows are destitute and often homeless. These women often die in loneliness, poverty and despair. Barbara serving the first arrivals. India Village Ministries also run a Sewing Centre which provides daily training for young girls and unemployed women. The Sewing Centre is a great way in which IVM combats poverty and brings hope and a little security to these women. The course runs for 6 months and at the end, each of the students graduate with their own sewing machine. The new series of Bible Studies started on Wednesday 18 February 2015 at 7.00pm in the Manse. In this series we will study the Prophet Hosea using the study guide Hosea – God’s love song. These studies will be held over eight months (missing out the holiday month of July) and are open to anyone who is interested in learning more about God’s word and its relevance for our lives today. If you are interested in coming, please contact Stuart Gardiner at stuart.gardiner3@btinternet.com so that a copy of the Study Guide can be ordered for you. Attending all of the studies is preferable but is not essential.